Dinosaurs are very interesting creatures! Children of all ages and levels can talk and write about dinosaurs. 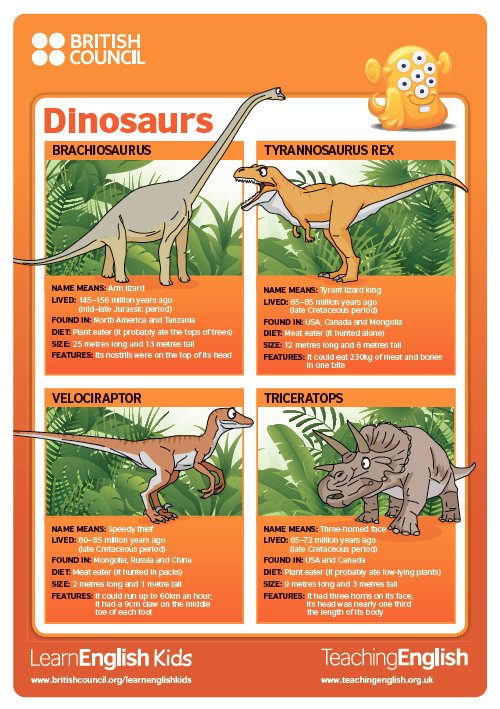 Here are some ideas for using the dinosaur poster with your learners. If you click on the PDF link, the poster should load. It is working fine here, although takes a few seconds to load. Please try again - if you are still having problems, you could try using a different browser. Let us know if you still can't access it.